With the release of ON1 2019 the other day there are now details about Luminar 3 coming with libraries December 18th. This will be a free update for Luminar 2018 owners so no need to purchase an update, but if you haven’t purchased Luminar 2018 yet you can use our discount code FUJIADDICT too purchase a new copy or update an old copy of Luminar. With the release of ON1 2019 and Luminar adding digital asset management soon I have been asked by a few photographers which they should get. At this time I would say that I like Luminar the most for quick results, but ON1 is more lightroom like and it even includes an intelligent import from Lightroom function that maintains your edits. 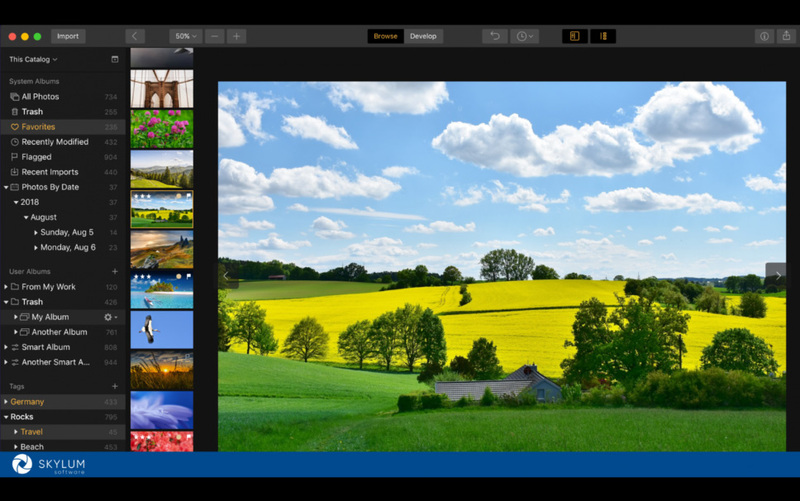 I do not think I could pick just one yet so if you like Lightroom maybe give ON1 2019 a try, but if you want to try a very different interface give Luminar at try. This entry was posted in Software and tagged Fuji Rumors, Fujifilm, Fujifilm Rumors, FujifilmRumors, Fujirumors, Leaving Lightroom, Lightroom, Luminar, Luminar 2018, Luminar 3, ON1, ON1 2019, Skylum, Skylum Luminar 2018, Skylum Luminar 3. Bookmark the permalink. Trackbacks are closed, but you can post a comment.